Glamping, or luxury camping, is more popular than ever and with tree houses, pods, bell tents, yurts, shepherd's huts and even converted London buses on offer, there's plenty of variety. Our growing collection of high-quality glamping options in the UK, France, Spain and the rest of Europe are hand-picked by the Cool Camping team, so you can be sure of a great holiday. 21st-century shepherd's hut glamping, where you can stargaze from your bed, luxuriate in a Scandinavian hot tub and cook home-made pizzas in a wood-fired oven. Antique living wagons on the banks of the River Bourne, with a charming orchard setting, a pub down the lane and a sense of history unlike anywhere else. Adults-only safari lodges and a hilltop treehouse in mid-Wales, which take luxury glamping to a whole new level. A family-run back-to-basics, campfire-friendly camping & glamping site with plenty of space for each pitch and a laid back family ethos. An over-sized, family-friendly river island with camping, canoes and cafés. 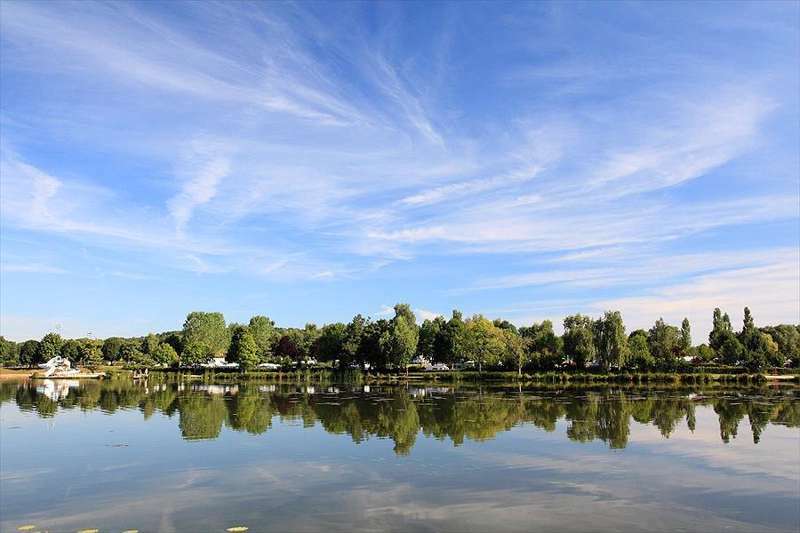 Family camping on the lakeside with bikes to rent for exploring the Burgundy vineyards. 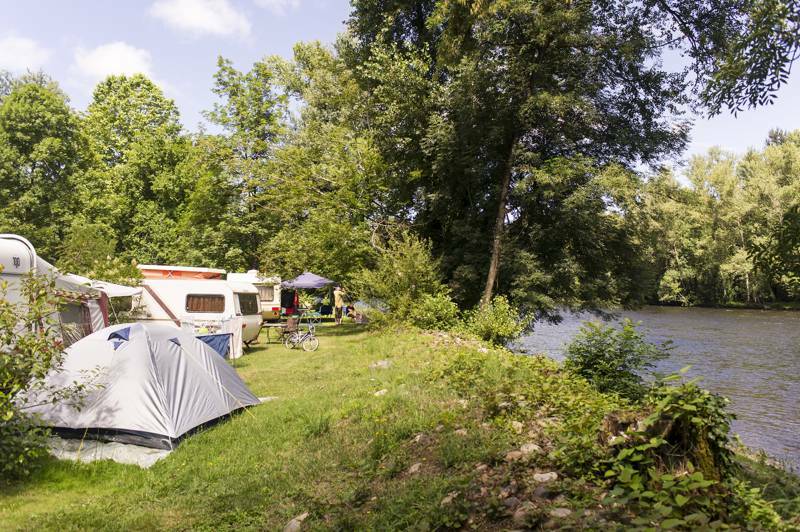 A family-friendlyriverside campsite slap bang in the middle of a regional park. A modern campsite with bucket loads of facilities set in a natural, riverside woodland just a few miles from France's Atlantic coast. 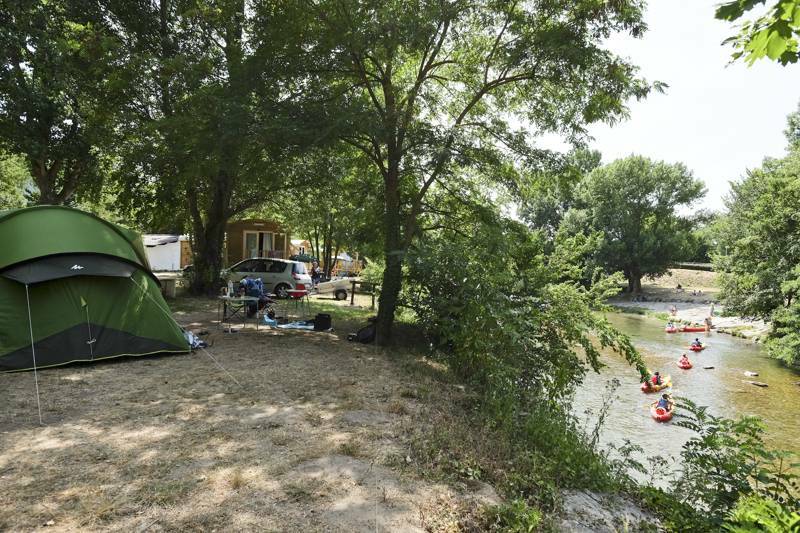 Family friendly camping in Aveyron that's as close to the rivers as you can get. Exactly what East Anglia is all about: acres of space and fine country parks. Safari tent glamping in the grounds of a charming old stone farm house, with dark skies, quiet roads and a beautiful swimming pool. 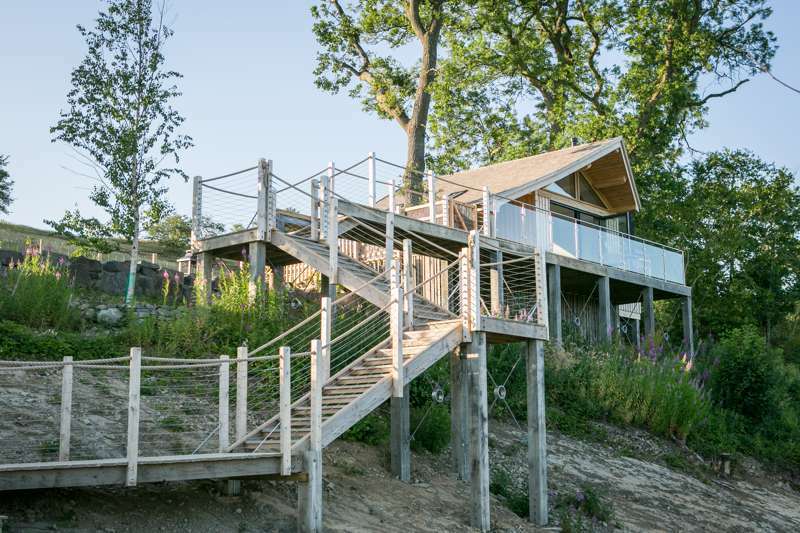 Reconnect with nature in a spacious safaritent, overlooking the hilly downlands of Hampshire’s Meon Valley. A pair of fully furnished, family-sized, glamping yurts on a working farm in Looe, Cornwall. Spanking-clean facilities, including award-winning loos and heated amenities. All set in a quiet little site snuggled up to the Brecon Beacons. Camping and luxury riverside pods with spanking-clean facilities, including award-winning loos and heated amenities. All set in a quiet little site snuggled up to the Brecon Beacons. Safari tent glamping in the heart of the Lincolnshire Wolds within the beautiful grounds of Fir-combe Hall. You can even bring your horse along! Roam Freely. Breathe Easy. Think Clearly. Luxury geodome glamping and cycling holidays on a smallholding in the Limousin area of France. Bright, modern and über luxurious, the luxury pods and tipis on this eco-conscious North Devon are the very essence of glamping. A 'best of both worlds' glamping and camping site in Norfolk with a wonderfully secluded feel yet ample attractions just a stroll beyond the hedge-line. A shepherd's hut stay just south of the Peak District, with a riverside village on the doorstep and friendly, attentive hosts. Locally made shepherd's huts in the heart of the Quantock Hills, with walking, mountain biking and pony-trekking on the doorstep. Wonderfully unspoilt riverside site in the heart of the Aveyron countryside. 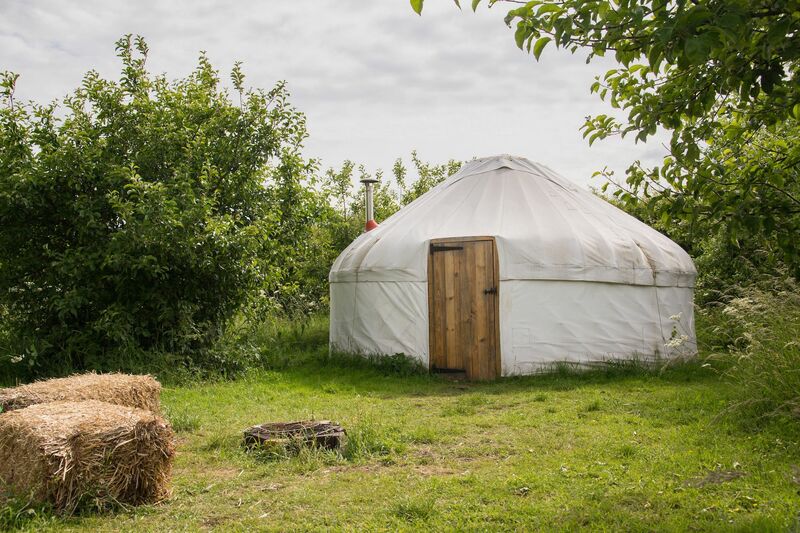 England’s first community owned farm, offering a warm welcome to all in their cosy glamping yurts. A single, traditional shepherd's hut with countryside views, and a cosy feel. Amiable lakeside lounging in the grounds of a Calvados chateau. Woodland Camping in South Devon between the coastal town of Torquay and Dartmoor National Park. 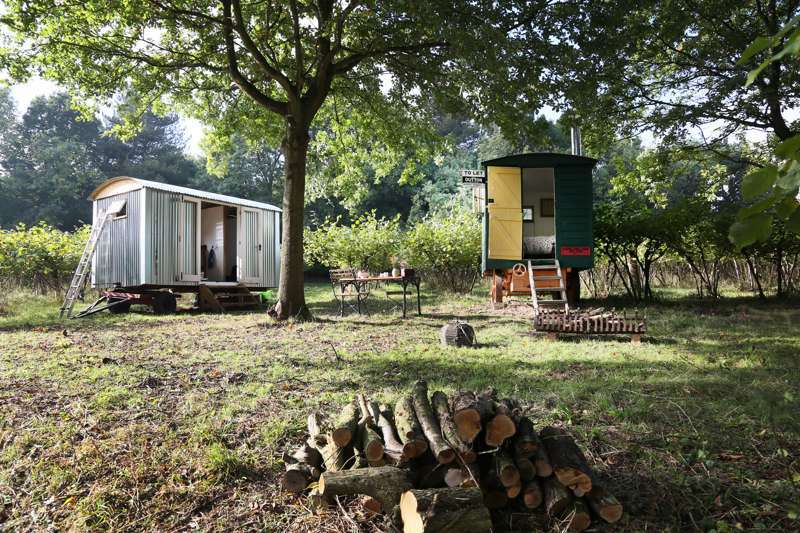 Luxury camping and glamping in the heart of the Weald of Kent. Llanreithan, St Davids, Pembrokeshire, SA62 5LG. Immaculate facilities, peaceful rural location, campfires and a wonderful feeling of space, which the limited number of pitches provides. Ty Parke Camping & Yurt Holidays, Llanreithan, St Davids, Pembrokeshire, SA62 5LG. A romantic, modern stay with hot tubs on the edge of Snowdonia National Park. City-centre glamping on the roof of a boutique B&B with hotel-style facilities, breathtaking Bristol views and an unbeatable sense of fun. Peaceful, spacious tranquillity with a spectacular backdrop. You half expect Julie Andrews to come running out of the woods in a habit. Loads of space, great views, a private beach and campfires. Cracking. A cracking, chilled-out atmosphere and ‘to-your-tent’ firewood delivery. Church spires, campfires and local food suppliers – proper camping. 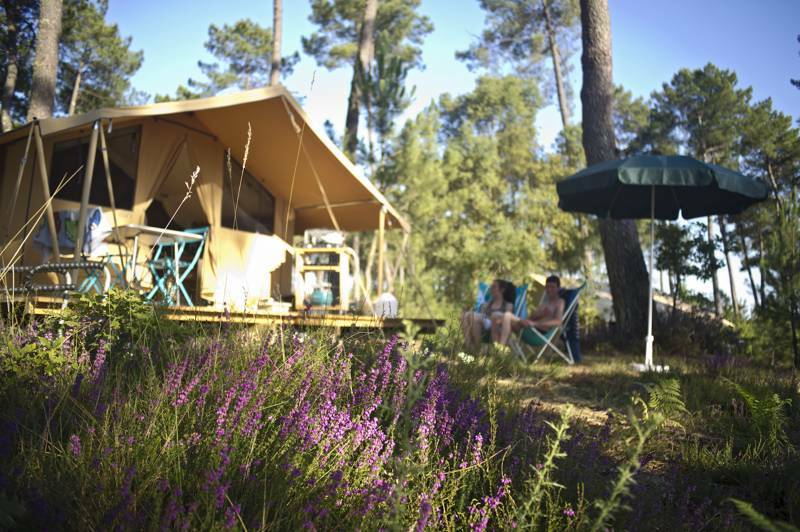 Real riverside camping on the banks of the beautiful and historic Loire. A tranquil, adults-only, woodland hideaway in the beautiful Dordogne region. There's no one-size-fits-all approach all when it comes to glamping accommodation and you'll quickly come to find that there's a huge variety of options out there. Across the channel in France and Europe, where the climate is generally warmer in the summer months, canvas options await in abundance. Safari tents are a popular choice with families – large, airy and divided into separate rooms, they provide space for children as well as the grown ups and stay cool in the summer sun. Bell tents (perhaps the most classic glamping structure) are popular for similar reasons, though are smaller in size and often more suited to couples. Yurts, meanwhile, offer a chic appearance and wonderfully romantic feel, they're a great choice if you want luxury and charm combined. While these three forms of accommodation are similarly found here in the UK, the Great British weather also means there are plenty of more hard-topped alternatives available too. Shepherd's huts, gypsy caravans and all-weather pods provide more year-round accommodation, with cosy, insulated interiors that will keep you warm even in the dead of winter. Many also come with wood-burning stoves to keep things extra snug. Finally, of course, there's also a whole host of glamping structures that can't be boxed into a specific genre. Treehouses come in all shapes, sizes and levels of luxury, while other quirky glamping finds include converted double-decker buses, ex-RAF helicopters, re-configured train carriages and cleverly transformed horse-boxes. Yes, when it comes to glamping, you'll never be short of cool ideas. And, to discover the best of them, you've come to the right place. Browse the Cool Camping website now to discover the greatest glamping wonders that are out there right now. Kip under canvas with this stunning collection of bell tent glamping sites in the UK, France and Europe. 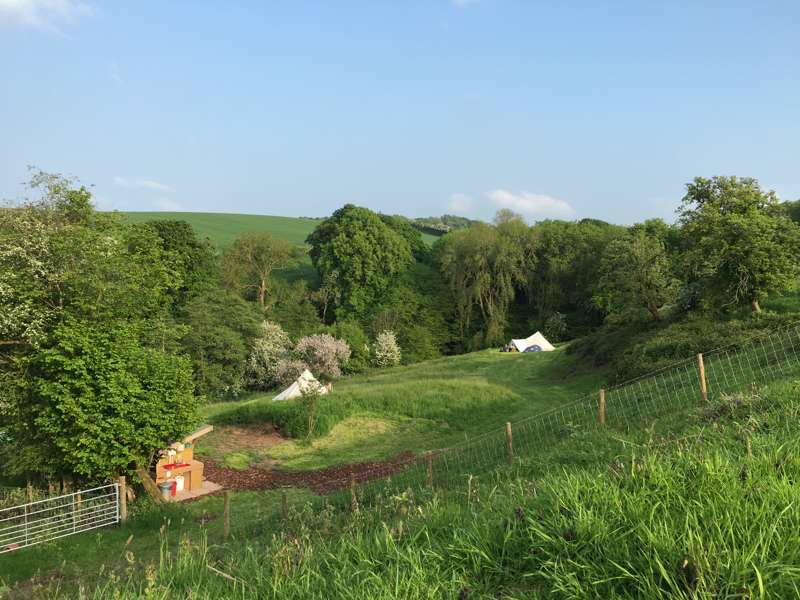 Light, summery and usually strung with bunting, bell tents offer an idyllic glamping retreat. Discover the best places to find them with Cool Camping's expert picks. Read on for the best glamping domes and geodesic dome camping in the UK, France and Europe. Browse glamping sites, read reviews, view photo galleries and book your geo-dome glamping holiday here. Pod glamping has never been more popular! Discover the greatest glamping pods in the UK, France and Europe here with this specially selected collection of campsites and glampingsites from the award-winning Cool Camping experts. Gypsy caravans, wagons, roulottes, whatever you want to call them, these traditional and quirky structures can make for seriously cosy glamping accommodation. Find the best in the UK & Europe with the expertly chosen collection from the authors of the Cool Camping guidebooks. Get under canvas in a safari tent and enjoy that out-of-Africa glamping feel with this collection of inspiring glamping sites in the UK, France and Europe. Every safari tent site has been specially selected by the award winning Cool Camping team. From cosy nooks in the mountains to coastal glamping retreats, discover the best shepherd's huts across the UK, France and Europe with this specially selected collection from the experts at Cool Camping. Saddle up! It's time to step back to the days of the American Indians with a tipi glamping holiday. Discover the greatest tipi glamping sites in the UK & Europe with this expertly chosen collection from the authors of the best-selling Glamping Getaways guidebook. Get up into the canopy and enjoy life in the trees with this collection of the best tree house glampsites in the UK & Europe, all chosen by the Cool Camping experts and authors of the best-selling Glamping Getaways guidebook. A collection of the best yurt glamping and ger glamping in the UK and Europe, hand-picked by the Cool Camping experts. Looking to go glamping in a yurt this year? You've come to the right place. What do we look for in a glamping site? Well, there are no set rules here at Cool Camping but we aim to showcase glampsites that have a certain je ne sais quoi, whether that be a special couples glamping retreat in Cornwall or a unique family glamping getaway in the south of France. From the high hills to the shores of the great European rivers, we're always on the hunt for cool places to stay and awesome glamping experiences to write about. Get inspired by our most recent blogs and discover our latest travel tips to find out more. Enjoy the ultimate glamping privacy at this collection of secluded sites in France, where you'll have acres of space all to yourself. Four new countryside sites across Britain are set to join the esteemed bell tent glamping collection. Synonyms, definitions and answers to that important question: What is glamping? 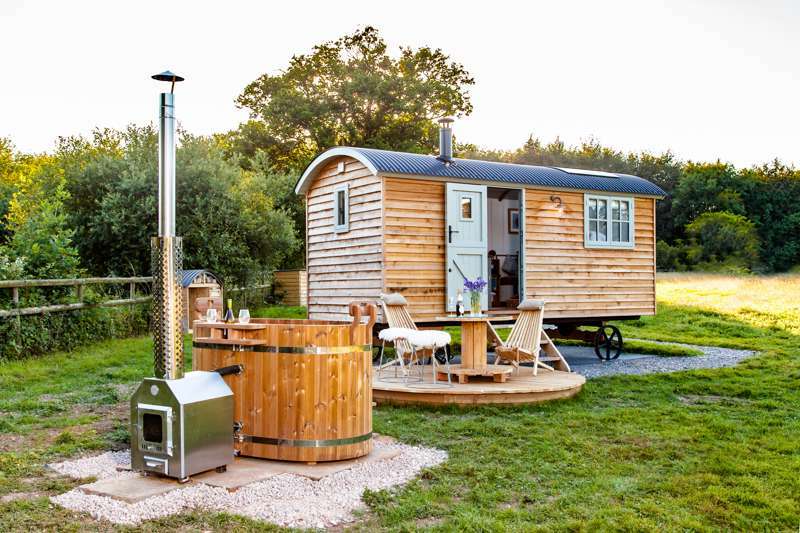 The Glamping Orchard in Gloucestershire has picked up an award from former Dragon's Den star Theo Paphitis after a busy year in the lime-light. Join us on a journey down California's epic Pacific Coast Highway. Heading to France this summer? Try one of these shady glamping hideaways in the forest? Recently added to the Oxford English Dictionary, glamping is defined there as "A form of camping involving accommodation and facilities more luxurious than those associated with traditional camping." 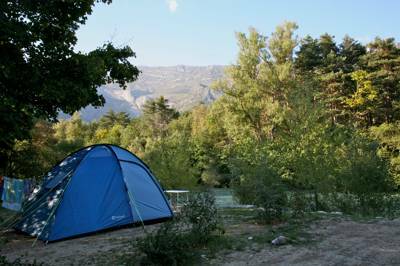 It's more popularly understood as 'glamorous camping', the idea being that you can leave the tent at home, forget the faff of bringing all your camping equipment along and, instead, rock up at a campsite with nothing but your toothbrush and pyjamas and have a good time. At glamping sites you'll find all the hard work is done for you: The tent (or yurt, or shepherds hut, or pod, or tree house) is already up and waiting and, guess what? there's already a bed waiting for you inside. Throw in the likes of a wood-burning stove, delicious breakfast hampers, hot tubs and en-suite bathrooms and you quickly get the idea. This isn't any ordinary outdoor holiday, yet glamping isn't quite like staying in a hotel either. No, glamping is still about getting outside and breathing in the fresh countryside air; light a campfire, roll in the grass, walk through the forest. You're still outside and you can still enjoy starry skies, but when you're glamping, you're doing it in style! – It's the perfect combination of adventure and luxury. – You'll get more space than an ordinary tent. – You needn't spend money buying your own equipment. – Less time pitching a tent means more time exploring the area. Here at Cool Camping we pride ourselves on being ahead of the game and discovering the newest and most exciting glamping sites before anybody else. In 2011 we published the world's first guidebook dedicated to glamping, Glamping Getaways – before the word was even added to the Oxford English Dictionary – and by 2016 it was followed by a brand new, second edition of the book, featuring almost double the number of glamping sites than the original title. Featured across the national newspapers as well as on television and on radio interviews, we're pleased to be the go-to people when it comes to the world of glamping and luxury camping. If you want your finger on the glamping pulse and easy access to the newest glamping site openings, you've come to the right place. glamping, uk, europe, yurts, tipis pods, huts, vintage, trailers, luxury, gers, gyspy caravans, shepherds, shepherd's, shepherds', safari tents, tree house, France, England, Scotland, Wales, French glamping, glamping in France at Glamping & Luxury Camping, Glamping, or luxury camping, is more popular than ever and with tree houses, pods, bell tents, yurts, shepherd's huts and even converted London buses on offer, there's plenty of variety. We offer glamping holidays and luxury camping in the UK, France, Spain, Portugal, Italy and Croatia.